He was four years, three weeks and five days old when I left the hospital with a piece of paper with the words ‘neurofibromatosis type 1’ scribbled on from a doctor I had only just met. The more I googled the more upset I got. Would you not be anxious if your baby was diagnosed with an incurable progressive genetic condition? Back then my biggest worry was seizures. The cafe-au-lait marks on his little body had meant nothing at all until that day but now I read that their presence was a key marker for diagnosis. Another one we could tick was developmental delay, another large head, and still another freckles under his arms. It meant the doctor was right and as I read on about complications and tests my mind began to panic. The condition causes benign tumours to grow anywhere on the nerves of the body causing a large variety of difficulties including scoliosis, vision impairment, bone deformities, epilepsy, learning difficulties and facial deformity. As the tumours can only be seen properly by MRI my first thought was should my little brown haired boy have to have anaesthetic to have a brain and body scan? 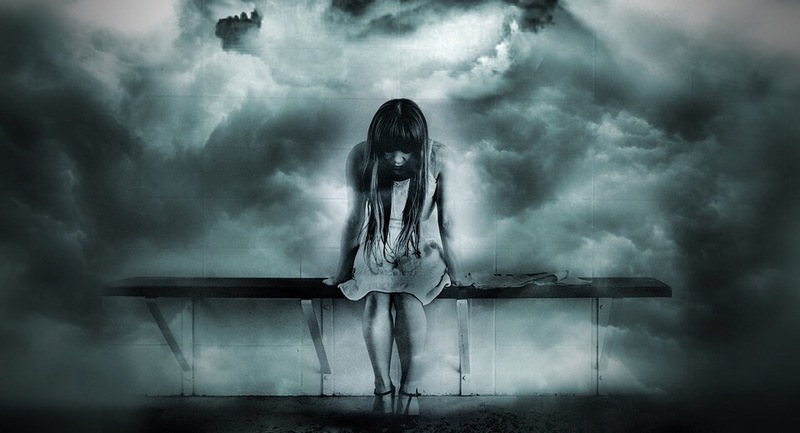 This was my first taste of the form of anxiety that is common with parents whose children have NF1: SCANIETY, a form of anxiety that is associated with having scans and waiting for results. You won’t find that word in a dictionary but parents of children with NF1 understand it and struggle with it so much. You may never have heard of it but we live with it none the less. Before our child ever has their first scan we still suffer with it. The ‘what-if’s’ of thinking should he/she have an MRI and if so how do we convince doctors to give them one? In some areas it is standard procedure to scan a child soon after diagnosis to have a ‘base line’ to work from but for so many others this expensive test is only given when there is a clinical need. Parental anxiety is not always recognised as a clinical need so many families find themselves fighting for a scan to find out if their child has any internal tumours and if so where. My son was 7 years, six months, one week and two days old when he finally had his first MRI. From the moment I received the appointment I was anxious. It was going to be the first of many times he would require anaesthetic. How would he cope? How would I arrange care for his sibling? Would be need to stay overnight? What might they find? When will we get the results? My whole life was suddenly out of control and everything rested on the results of this scan. Two weeks and five days later I had a phone call from the doctor. Could we come to the hospital the following day as a matter of urgency to discuss the results. Scaniexty hit again with a vengeance. They had found something. They discovered a number of things from that first scan. My son had a serious eye condition unrelated to his NF1 which meant he had no sight in one eye. On the other eye he had something called an optic glioma which so many NF parents dread: a tumour on his optic nerve. A group of oncologists discussed my child’s case and decided, for now, no treatment was needed. We were sent home. Scanxiety never left me though. In six months time we would be back for another scan. My mind could not ignore that. He had a scan, they found a tumour, next time there could be more. What should have been a six month wait until the next one turned into an agonising ten months before we finally had our next scan on 3rd March this year. The scaniexty of waiting for that second scan was awful. The day of the scan was awful. Waiting on the results is awful. When your child has NF1 scaniexty never leaves you. This time the results showed the original tumour was stable but he also has brain lesions, one of which is large, and these are a direct result of his NF1 too. We live with the constant worry he may one day need chemotherapy. We live with the worry he could go blind due to his optic glioma since he has no sight in his other eye at all. We live with the worry they may one day they could find a tumour that keeps growing. I live with anxiety as a mum to a child with NF1. That anxiety is deeply connected to the fact my son needs ongoing scans for the rest of his life. There is no cure for NF1 and there is no cure for the scaniexty it brings either. Autism: should it affect medical treatment or not? Everyone deserves the best medical treatment possible at all times. No life is worth less than another. What happens though when someone can not understand treatment, or convey pain, or communicate…should they be treated differently? My son is seven years old with a diagnosis of non verbal severe autism, learning difficulties and Neurofibromatosis type 1. Let’s stop there and make this much more personal. Here is Isaac, a cheeky, lift loving, teddy chewing, energetic, loving seven year old. 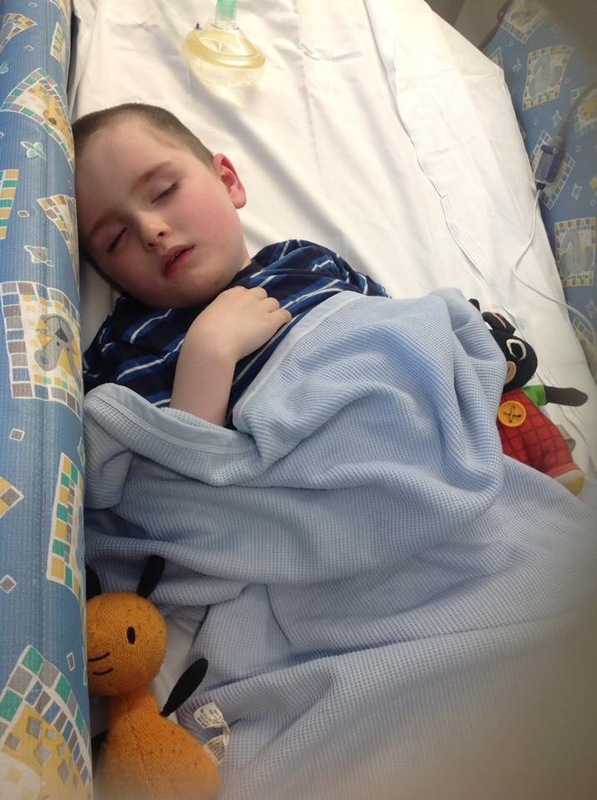 Isaac has had some major medical tests recently to help find out more about what is going on in his body and mind given his medical condition and difficulties communicating. He had an EEG. This came back abnormal. He had an MRI under general anaesthetic. Yesterday we had the results. He has microphthalmia is his right eye which means he has no vision at all in that eye. His left eye has an optic glioma, a type of brain tumour. As I said Isaac has severe autism. Should this affect how he is treated for his optic glioma? We have two options at present. The first is watch and wait. The tumour may never grow and his vision may remain stable. No-one really knows. This option relies on regular eye tests, regular MRi’s and the patient communicating any changes to his vision or health. This is where autism poses a problem. Isaac has yet to be able to carry out a conventional eye test. He shows no interest in picture cards, can not identify numbers or letter consistently and has no means of communication or even understanding any changes to his vision. MRI scans involve general anaesthetic and therefore come with risks. The MRI can identify any tumour growth but has no way of knowing any symptoms the patient may be having. Should my sons autism affect wether we take the risk of watch and wait? The second option is chemotherapy. That comes with huge risks and is highly invasive. Isaac would have no understanding of the medical treatment and struggle with any changes. We would once again have no knowledge of how it would be affecting him as he has no language. This could make managing the treatment very problematic and challenging. Do we risk chemotherapy on a child with such limitted understanding and awareness? Before any of this happened to me I would have argued that no child should be treated any differently medically just because they have autism. The fact is you HAVE to treat them differently. Whatever decision is made by my sons medical team in the next days and months will all come down to his autism as much as his medical challenges. I trust my sons team. He has some very skilled medics on board but there will also be communication specialists too. Why? Because his autism DOES affect his medical treatment in a very big way. I stand by what I said at the start. EVERYONE deserves the best medical treatment available at all times. It is just, in my sons case, autism has a major part to play in what the best medical treatment is. That is a fact we can not ignore. The decision is somewhat out is my hands. Isaac has no say in it either. Autism affects so much about my child and in his case it affects his medical treatment too. I am so grateful for doctors who understanding this.